L-R: Mr. Cartha D. "Deke" DeLoach, Mr. Eldon James, and President Lyndon B. Johnson. Oval Office, White House, Washington DC, 3/3/1966. Photo # a2046-16 by Yoichi Okamoto. 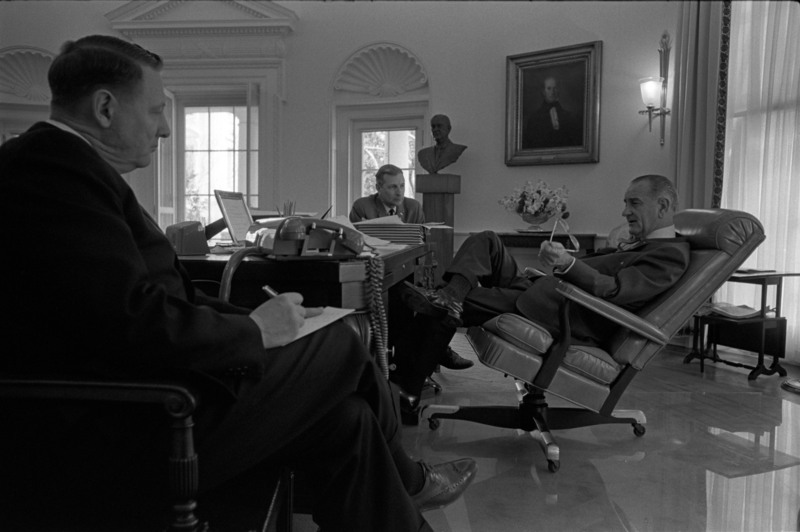 White House Photo Office collection, LBJ Presidential Library, public domain.